So what’s it like in between filming scenes on the set of Marvel’s The Defenders? 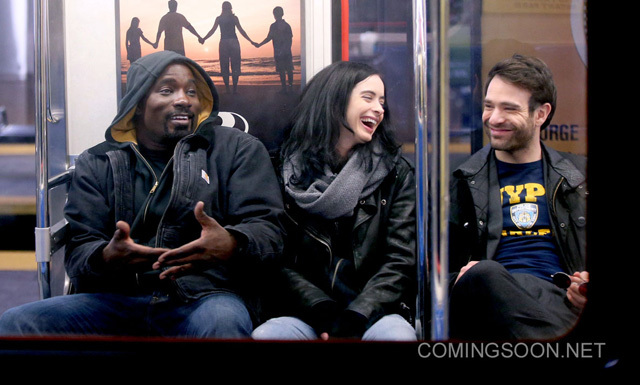 Two new photos give you a great look at how much fun Mike Colter (Luke Cage), Krysten Ritter (Jessica Jones) and Charlie Cox (Daredevil) can have, and how they can turn on their serious face just moments later. Check out the photos in the gallery below, along with all the previously-released photos from the New York set!